Learn French-The importance of mastering at least one foreign language is a reality that many Spaniards take into account in order to find a job or manage the world. However, only 19% of those who claim to speak English or French are able to maintain an informal conversation about everyday issues. The data on the limited command of languages ​​in our country are especially alarming today. Official studies conclude that four out of ten Spaniards say they speak. And write a foreign language, especially English in 25, 2% of respondents and French with 9.6%. However, among those who claim to speak a language, only 26.5% in the case of English and 30, 7% in the case of French feel qualified to make purchases. Ask for an address or ask for a dish in a restaurant. If we already talk about an informal conversation, the percentage is placed as discussed in previous lines by 19%. As the language complexity increases. As is the case of refuting other opinions with good arguments. They are able to do it without problems in 11, 9% in the case of English and 13, 1% in the case of French. After work experience and academic training, knowledge of languages is one of the most valued aspects to find a job. It is not negligible if we take into account the advantages that can provide us. If we focus on the specific case of learning a language such as French. We must be aware of its imprint. Betting on the help of French teachers or specialized courses will help us to get into this field. More than 200 million people speak this language throughout the world, being the ninth most used internationally. Hence its great influence at the global level. Logically, managing French is an advantage to increase the chances of finding employment in the international market. The knowledge of this language will open the doors to French companies in France. As well as in other French-speaking countries such as Canada, Switzerland, Belgium and the African continent. France as the fifth commercial power and third host country for foreign investments, could be said to be a first class economic partner. Do not forget that French is the international language of cooking, fashion, visual art, dance. And architecture, so its use will open the doors to a world full of possibilities. The mastery of this language will also allow you to carry out your studies in prestigious universities in the country. Or in the great schools of commerce and engineering, classified among the best higher education establishments in Europe and the world. It is not negligible either to know that after English and German, French is the third most used Internet language. Learning French involves learning a beautiful, rich and melodic language, which at the same time is analytical. Since it structures thought and develops the critical spirit, which is very useful in the discussions or negotiations. The way to end the fear of engaging in a fluid and understandable conversation with a third party is to learn from experienced professionals like those we can find in Reply. A practical platform that will help users find a teacher to help them master the language. Through your resources you can find the teacher that best suits your needs. Classes can be developed conveniently by Skype, in the teacher’s home or in an office. To start the search for a teacher through this platform. It is advisable to select the location. In the case that you opt for lessons at home or home of the teacher, specify a convenient area for the class or a nearby subway station. You will have the opportunity to select types of classes, price range, age or level of knowledge of the language. Once you have selected the teachers that best suit your needs, you have to click on “send request” within the profile of the professional and then you must fill out the application form. Once this is done, you can enter through your email or facebook account. In the event that you have any doubts when choosing your teacher, you can send a personal message on the application page. Do you know Reply ?, what do you think about the advantages it can provide you to learn French ? By studying a foreign language, you also learn the whole culture behind the language. You have access to more information that helps you stay aware of the world around you. Understand cultural differences, and understand your own culture. Knowledge is essential. It is the experiences and personal wisdom that help us direct our lives, make decisions, make important choices. And feel complete. Knowing is essential not to make the same mistakes, to feel happier, more valued. Besides being good to have answers to your doubts, is not it? Studying is a fun and effective way to learn and increase your knowledge. What if, better still, you could learn something different from everything you’ve ever been through? This is more than gaining knowledge, it is wisdom! A world of open doors for you to explore. French is a language spoken by approximately 270 million people worldwide, is one of the only languages ​​spoken on 5 continents. And 80 states and governments adopt French as an official or alternative language. And are part of the International Organization of the Franco phone. French is the second most influential language in the world and most Anglophones choose to learn French. Those who master this language can experience new experiences in France, Belgium, Canada, Switzerland. And in the three host cities of the European Union: Strasbourg, Brussels and Luxembourg and also in pulsating African economies such as Morocco. Not to mention the Guianas and the Caribbean island of Martinique. French is the traditional language of gastronomy, fashion, theater, visual arts, dance and architecture. Knowing French you can have access to the original versions of the vast content produced in research and studies in these areas. The great classics of learn French literature and the crucial works of political, philosophical. And social thought in the history of mankind also become a collection available to you. 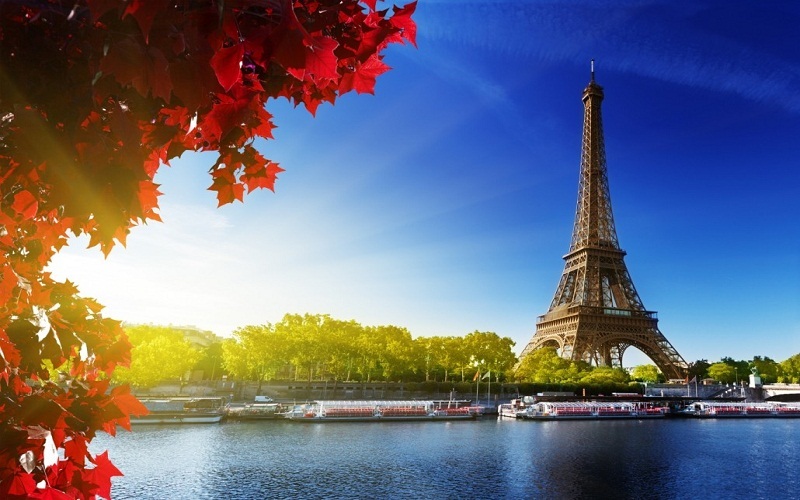 In addition, there are several opportunities to study abroad: every year scholarships are awarded for foreign students to study in France and / or in Francophone countries. More opportunities in your professional life. Bilingual professionals excel at job interviews and receive higher pay. More than 600 French companies are installed in Brazil! You can also choose to perform part of your academic training outside of Brazil by studying at one of the prestigious French Universities. Learn French-speaking students have the opportunity to prepare the application dossier either to immigrate to Canada or to win a scholarship to study in France. French is an analytical language and it structures the reasoning very well – being great for doing business. And for that reason the work scenario expands: opportunities for work abroad can arise, mainly related to International Relations. It is an easy language for us to learn, from Latin as well as Portuguese and, because of the cultural weight that France has over us. Whether through entertainment or brands. All facilitators to increase our contact with the language. Another very interesting point is that the knowledge of the French language will facilitate the learning of other Latin languages ​​like Italian, Portuguese, Spanish and Romanian, besides the English that in his vocabulary inherited many French words.